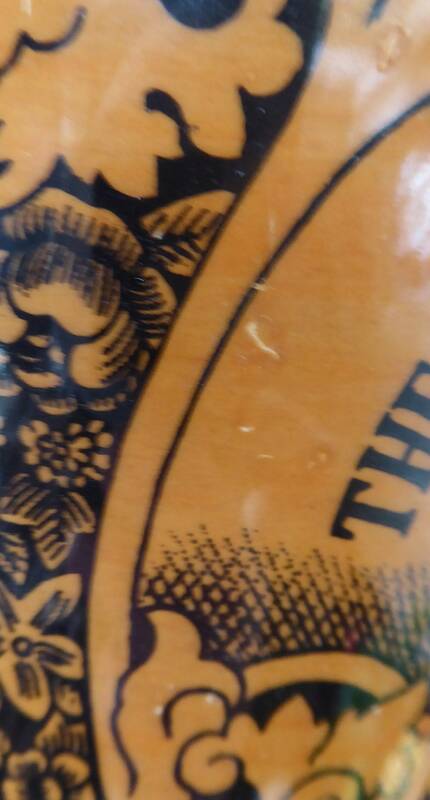 This is a very rare and oollectable vintage Portmeirion storage jar or lidded pot. 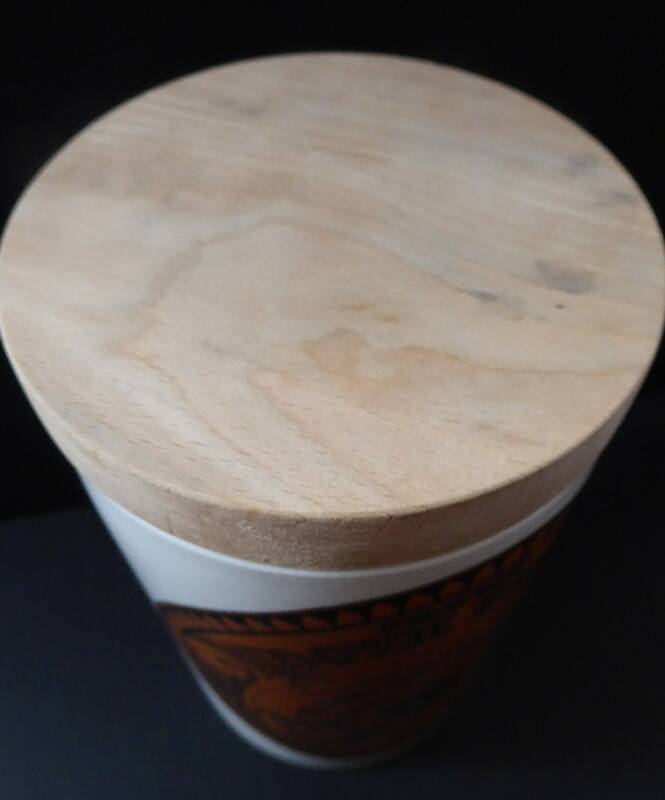 It is a harder to find larger size - 8 1/4 inches in height and with a diameter of 4 ¾ inches. The design is now a much harder to find one - from the Chemist Prints Series. 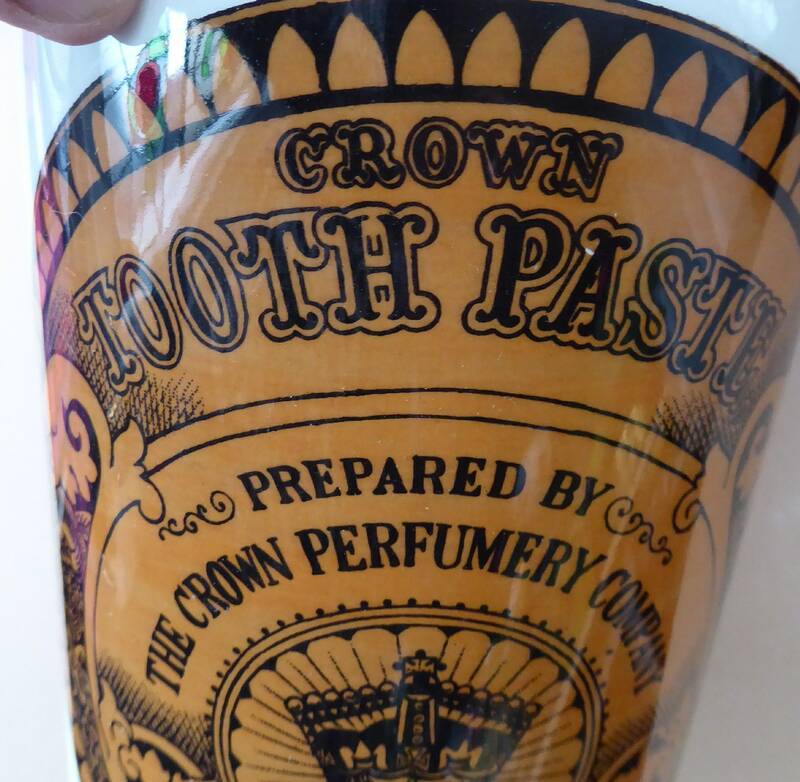 My one is for Crown Toothpaste. These designs re-used old 19th-century copper plates - which the designer Susan Williams-Ellis found when she took over the old Kirkham Pottery factory. 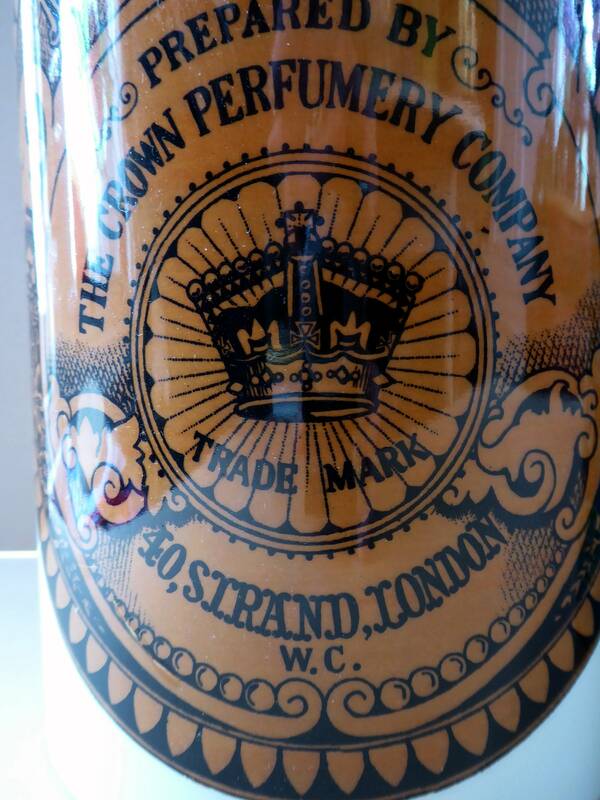 The old designs were often printed in black on plain white pots etc - but this one is a little rarer in that it is printed onto a rust coloured background colours. 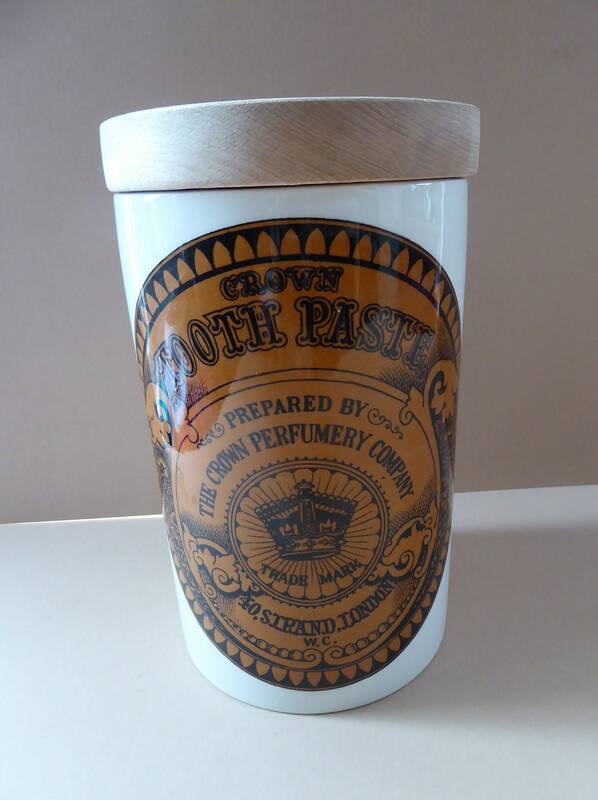 This fascination with the "olden days" and the Edwardian era - was very popular with Carnaby Street style. 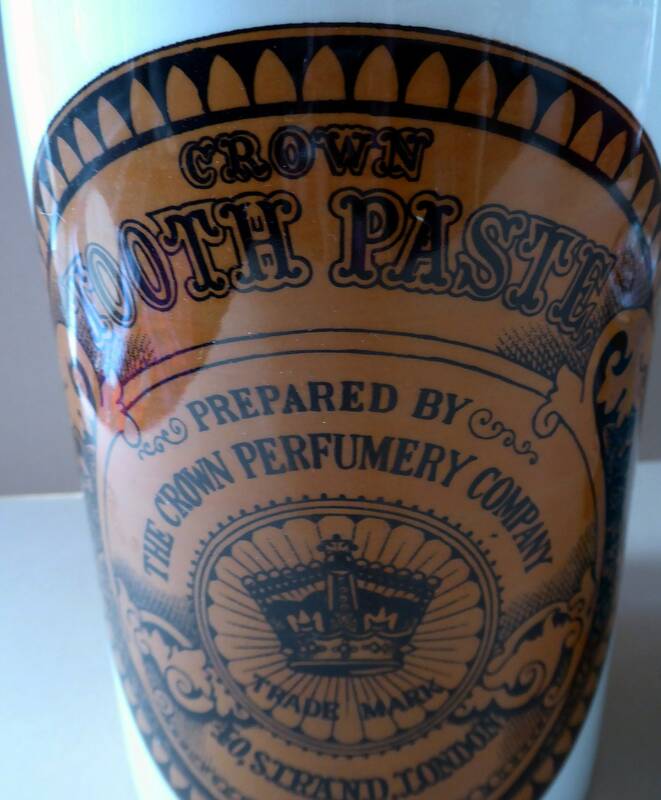 It is in pretty good vintage condition - with no chips or cracks. 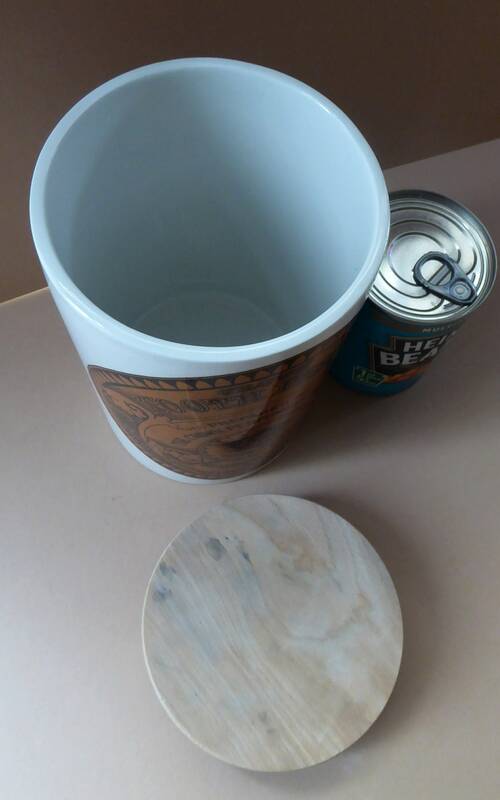 It has its original pale wooden lid. 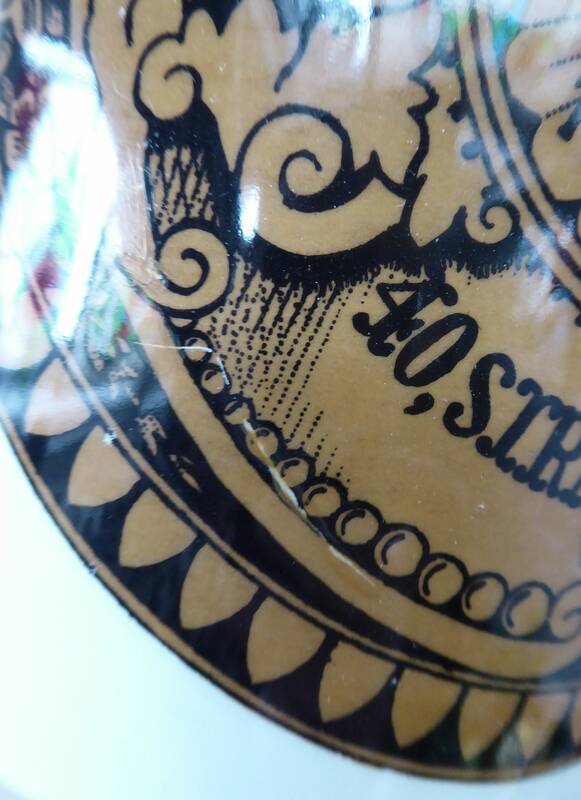 There are a couple of minor scuffs to the transfer pattern on the front, as photographed. These are only in two small areas - and only noticeable from a close-up inspection and not when your storage jar is on display. 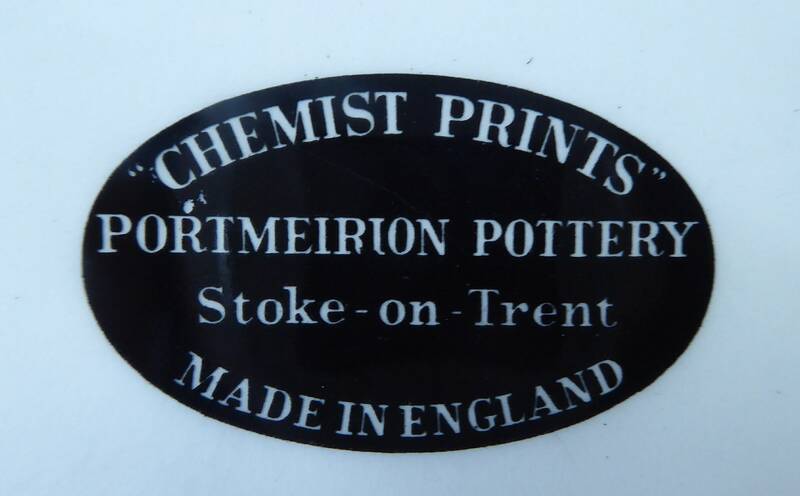 If you collect Portmeirion wares then you will know how hard it is to source these Chemist Prints items - so this is certainly listed at a very fair price. 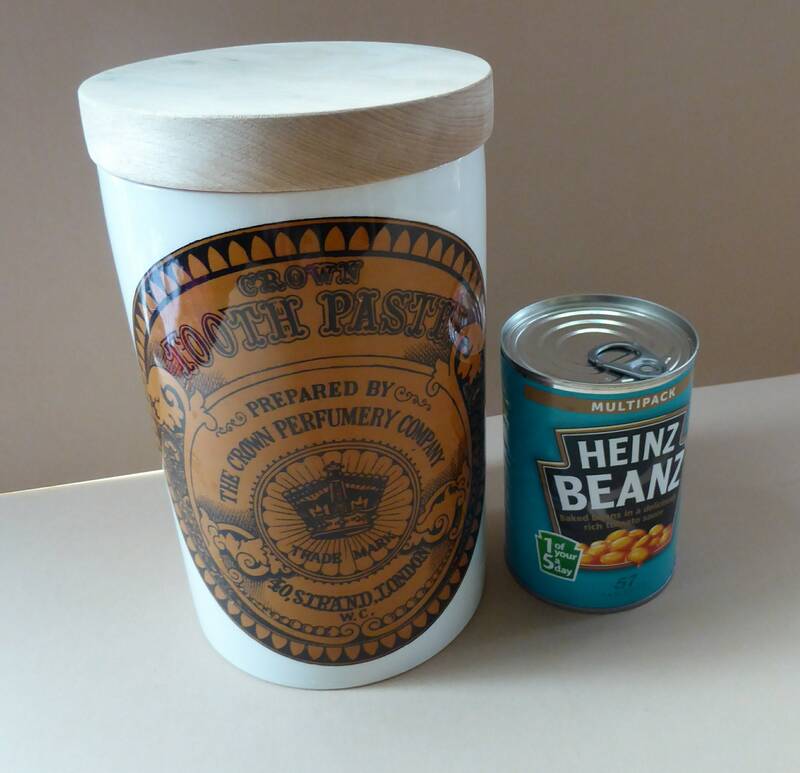 Sadly - it will have to be for UK posting only due to the weight.